The relationship between increased employee engagement and a company’s revenues are strong. Multiple studies, including research from Gallup, have found that the odds of success were nearly double for those workers in the “engaged” group versus the “disengaged” and the 99th percentile had four times the success rate. 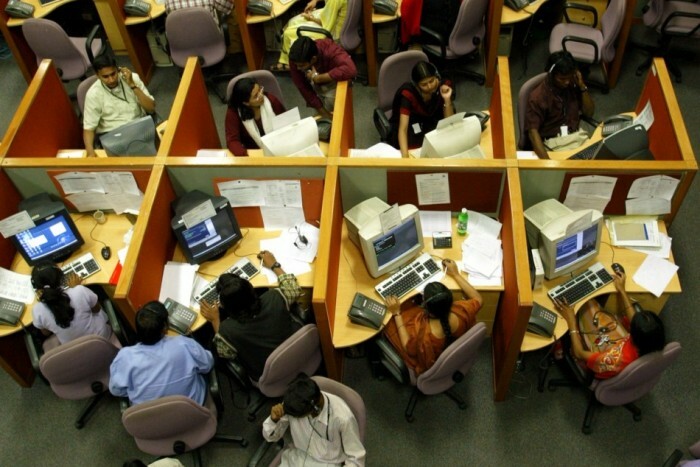 In customer service departments – and in this article, I’ll be discussing call centers specifically — there’s a pressing need for improved engagement. Managers within these customer-facing groups must contend with high turnover rates and welcome any tactics that can foster engagement and staff that want to stay and grow with the company. Part of developing engaged employees is to have them reach a state of “unconscious competence.” What this means is the person performs actions “second nature,” so they’re competently doing many tasks without wasting time through conscious thought. The end result? The employee works efficiently and quickly, and the customer is satisfied. The “unconscious” part means they’re confident in their expertise and training and present themselves as a trusted and knowledgeable problem solver. This goal stage is preceded by three other stages, starting with “unconscious incompetence” where a worker does not know the skills they are lacking, “conscious incompetence” that comes with understanding they have a shortcoming, and then the third stage of “conscious competence”, a state that allows the worker to perform, but not efficiently. They’re missing that “second nature” element. Supervisors and managers can leverage analytics and coaching to get their direct reports to the unconscious competence stage and develop an engaged and efficient team. In a call center environment – and this applies to all customer-facing associates — reaching the fourth stage begins with an understanding of the agent’s shortcomings. They might not speak to the customers with empathetic language, or they might not have a mastery of the company’s product line. No matter the specific area of improvement, the agents can only get better if they have access to accurate and frequent feedback. Traditionally in a call center environment, this feedback would come from performance reviews that would look at “hold times” and other static metrics and include a sampling of one or two percent of an agent’s calls. Such an approach does not provide agents with reliable performance assessments that are true reflections of the agent’s typical work. One way call center managers address this problem is through automated monitoring and scoring of 100 percent of call, chat, and email conversations. Using advanced speech and text technology, there are platforms that can transcribe all of this content and turn it into searchable, easily categorized text and structured data. By flagging calls that contain desired or undesired language combined with other measurements such as silence, agitation, or transactional measures, interaction analytics platforms automatically score every call. This provides a much more accurate, consistent, and timely reflection of the agents’ performance. The power of analytics is that they provide agents and anyone who regularly interacts with customers with a tool that can help them reach the elusive fourth performance stage. It helps them correct their behaviors early in their careers before they become ingrained habits. The analytics also can provide positive feedback, so workers feel supported and are encouraged to help other team members through peer-to-peer training. Managers of new hires can quickly move them through the performance stages, and also identify customer representatives who are simply not a good fit for the organization. Such moves can drastically cut down on attrition rates and give management a chance to spot and retain top performers, even moving them into broader roles within the company. With drilled-down analytics, the managers can spot agents that are very good at specific situations such as compliance language or those that are most adept at talking customers through difficult situations. The agents’ roles can then be shifted to best suit their strengths, which drives their own engagement and ultimately improves customer satisfaction. Performance assessments can be improved through coaching, and when that coaching is informed by 100 percent call capture, it’s much more effective. Instead of basing coaching on inaccurate assessment data or on less informed perceptions about an employee’s interactions with customers, a supervisor can instead rely on empirical data. The coaching is much more targeted and makes more contextual sense to the employee. Automated scoring allows for feedback to be delivered directly to agents, allowing them to self-coach, and motivate through competition. When this pattern of coaching is continually repeated, it builds the agent’s skills. Scoring agents based on transactional data only, such as closed sales, may incorrectly suggest agent “John” lacks closing skills. In the typical call center that bases performance reviews on manual monitoring of only a handful of conversations each month, supervisors may miss that “John” has excellent closing skills, but is not aggressive enough with sales attempts — (has the skills, lacks the will). Inaccurate feedback such as this from management can be frustrating, and the attempted coaching is likely ignored. When the coaching is informed by 100 percent of actual call content, then managers have the right information to accurately evaluate performance. They can talk to “John” about his actual shortcomings on the phone, while giving him praise for those things he is doing well. Coaches can use automated call categorization reports to both spot negative behaviors (non-approved language, long conversation pauses, etc.) and to reinforce positive behaviors such as empathy-based language, proper greeting, and use of disclosures. Automated scoring based on voice analytics removes guesswork and bias, allowing coaches to tie call metrics to incentives and raises, to show the agents that performance is rewarded. Such a dynamic improves agent retention and makes coaching easier and more productive. Given the accuracy of the information with the performance assessments, managers can use that data for incentives and raises, so agents can see a correlation between their effort and compensation. Companies that can deftly combine analytics and context-based unbiased coaching can turn average agents into high-performers who operate in the ultimate unconscious competence stage. These agents are in turn more engaged with their work and the customer experience, which translates into bottom-line revenue growth. Scott Kendrick has 20 years’ experience in software product management, design, and marketing for everything from shrink-wrap consumer applications to enterprise cloud solutions. At CallMiner, he introduced the tag-line “Listen to your customers – Improve your business” which is both something he passionately embraces in marketing and product management, and how he articulates the benefit CallMiner Eureka brings to market. Prior to CallMiner Scott was Sr. Director of Global Product Management at MIVA (an internet search marketing company), and Director of Product Management and Marketing for the New Ventures division at Corel Corporation (makers of personal and business software CorelDraw® and WordPerfect®). Scott holds a BScE in Civil Engineering from Queen’s University (Ontario, Canada), and is certified in Pragmatic Marketing and SCRUM.